I just looked through my site and have found that I have perpetrated a huge travesty. 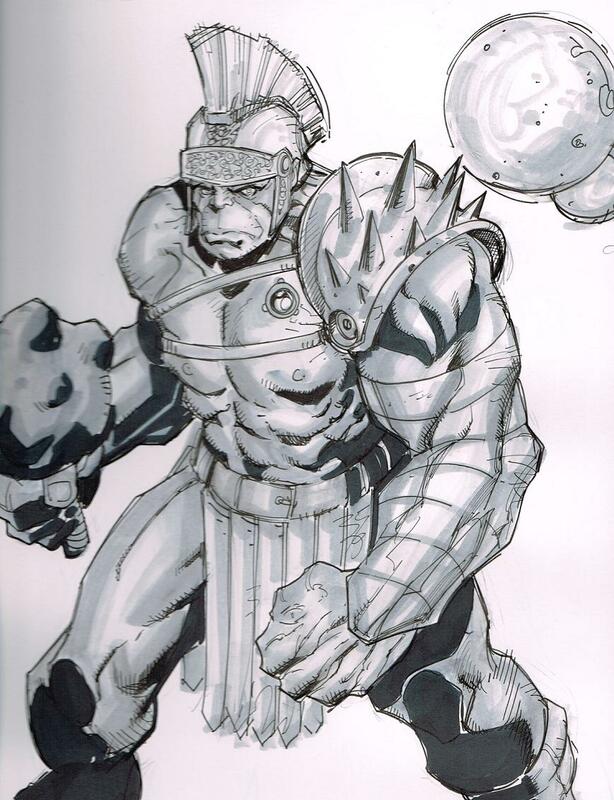 A few years back I was so excited that Aaron Lopresti was gracing us with his presence at the Boston Comic Con – a man who shared the penciling responsibility with Carlo Pagulayah for Planet Hulk! I, of course, was thinking about getting a piece from him – and was Aaron and George Perez – those were the two big “gets” of the BCC for me that year. 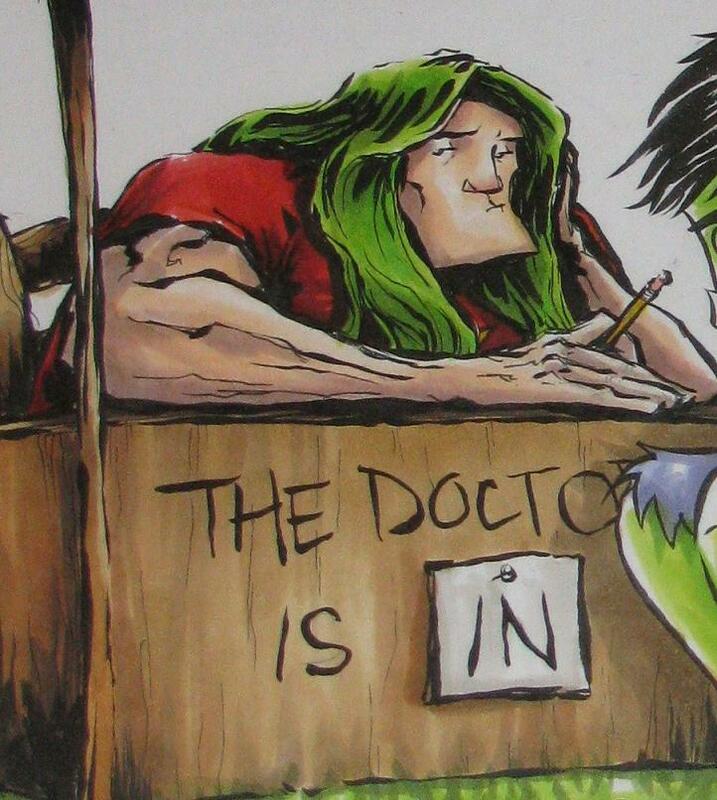 Well, lucky for me Aaron accepted commissions early to be picked up at the Con. I was hoping to strike up a conversation but the man was concentrating on something else / not very friendly / not interested in talking that day. I don’t mean to say he’s ALWAYS this way – and his somewhat dismissal of me wasn’t totally rude or anything but it wasn’t great either. I introduced myself, he said hello, I told him that I commissioned him, he asked what I wanted. I reminded him and he went through his folder and pulled out my piece. He handed it to me and asked for payment. I handed it to him and started to gush over the piece. He said thank you without looking up from what he was busy doing. I stood there awkwardly for a moment and then walked away. Like I said, he might have been busy so I decided not to take offense. 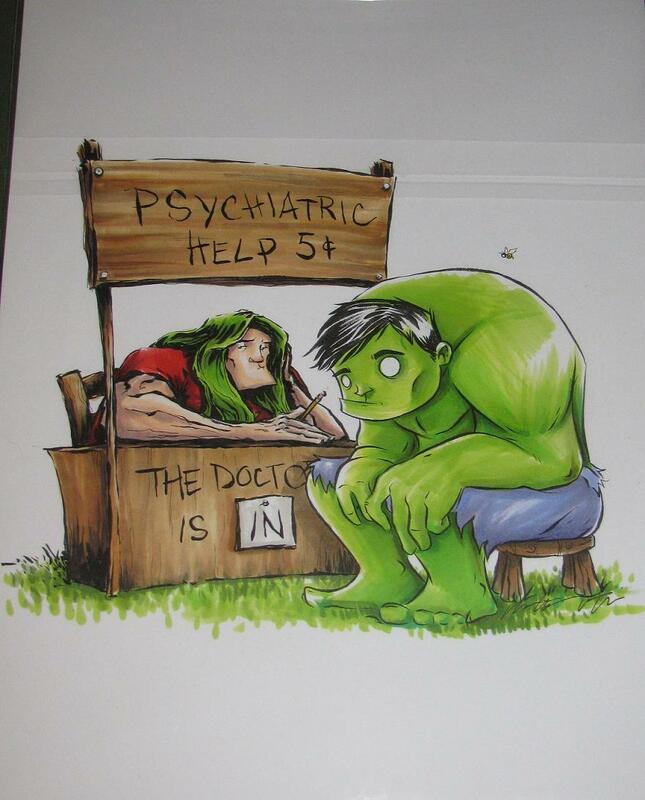 But the piece I walked away with is beautiful and I can’t help but focus on the fact that I left the con with an amazing Planet Hulk illustration. 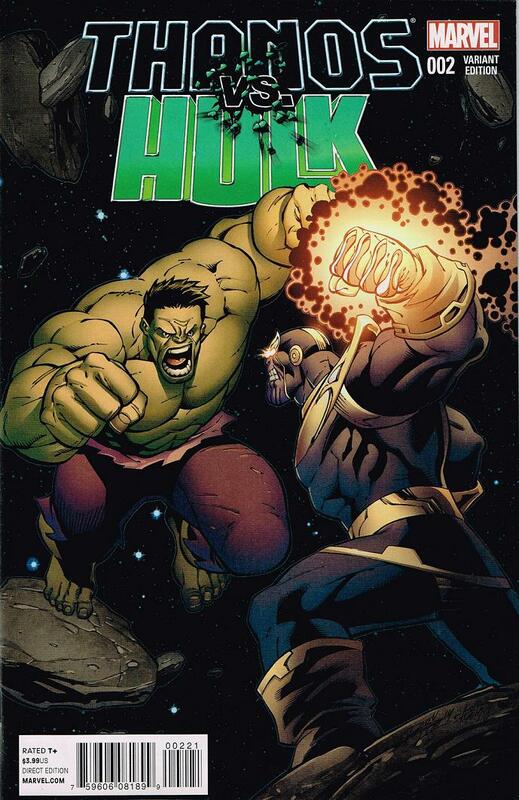 The second installment was released a few weeks ago to this mini series and while I appreciate seeing my favorite character facing off against the biggest bad in the Marvel U – this series is seemingly going no where pretty fast. Let’s get into it, shall we? Thanos does make short work of Hulk in the beginning – but when Banner combines his brains with the Hulk’s strength Thanos gets blasted back. Amazingly, a decent battle is brewing when Annihilus buts in and threatens Thanos – which he balks at – but still decides to leave and not engage the ruler of the negative zone. 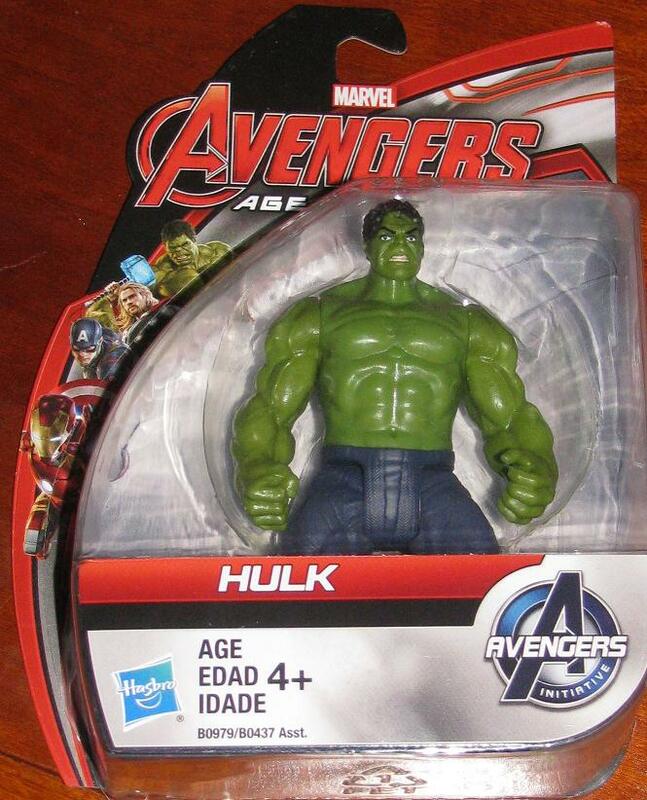 I couldn’t believe my luck as I walked into a local shop where there was the new AoU figures! They aren’t the “official” release ones – the figures I saw are the cheaper, more kid friendly, versions. 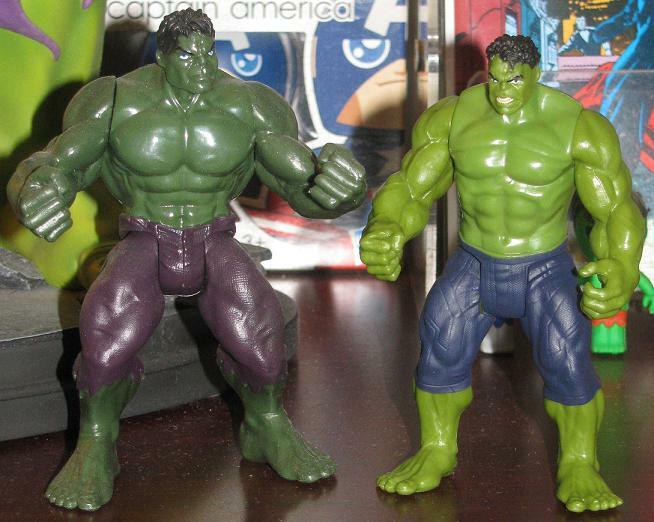 I was still excited to snag a Hulk or two. 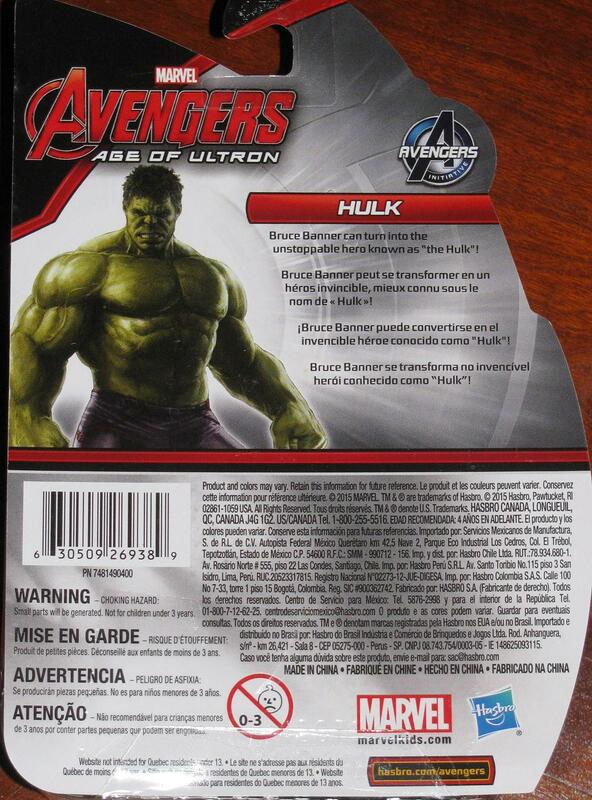 They seemed to have really cut down on everything though as the blister card is smaller than any other releases thus far including MU, Marvel Infinite Series, Avengers and Avengers Assemble, even the dollar shop Marvel figures were on larger cards than these figures are on. That’s not all that’s smaller – the figure is smaller! 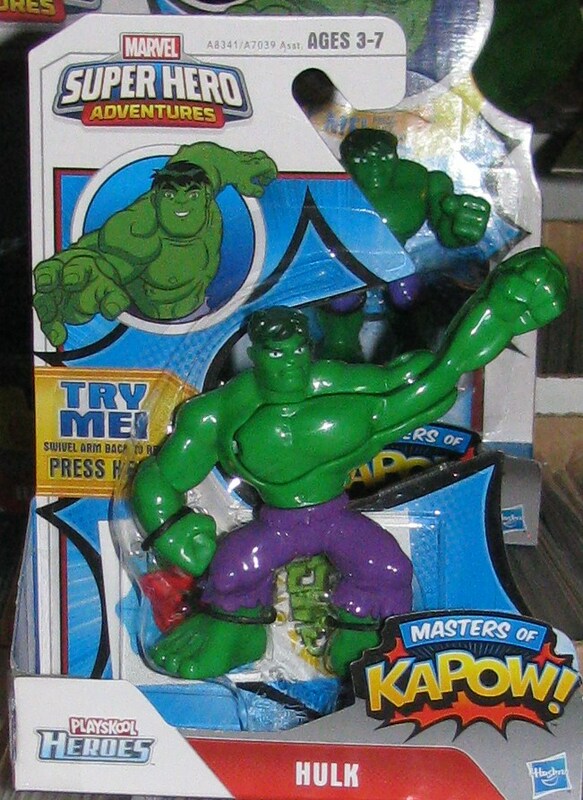 I am putting him against the dollar shop Hulk and he is tiny in comparison! 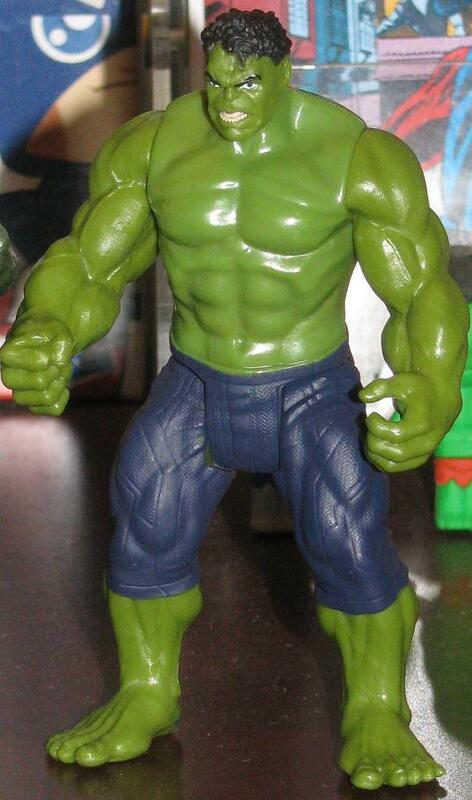 A better sculpt though, reminiscent of the SS Avengers Hulk PF where you can see the veins and even separately sculpted teeth! The colors really pop too – the lighter green is a decent choice. 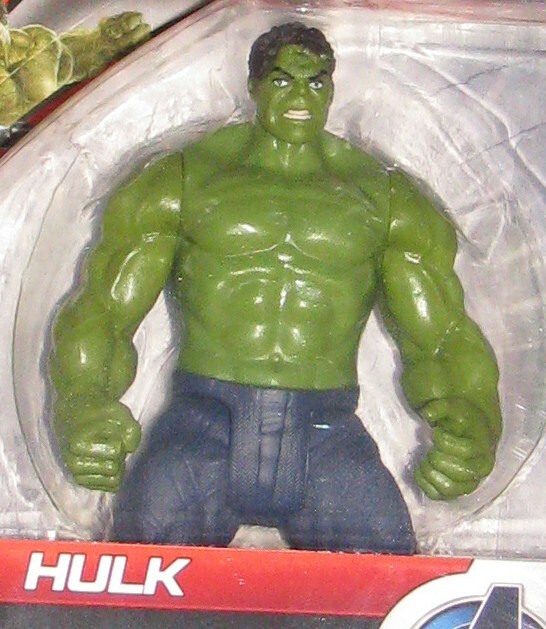 New Marvel Select Hulk! Coming Soon! 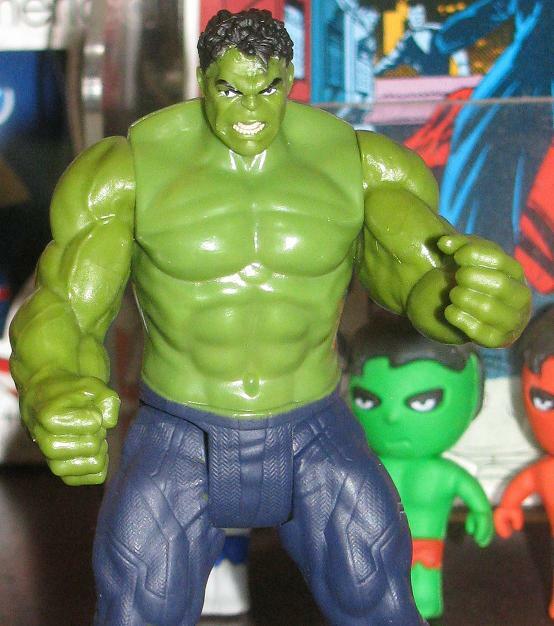 The last Avengers Hulk from Marvel Select was a fantastic figure. I am looking forward to this one as well! Click the image for the link! I miss the Superhero Squad cartoon – it was silly but perfect! 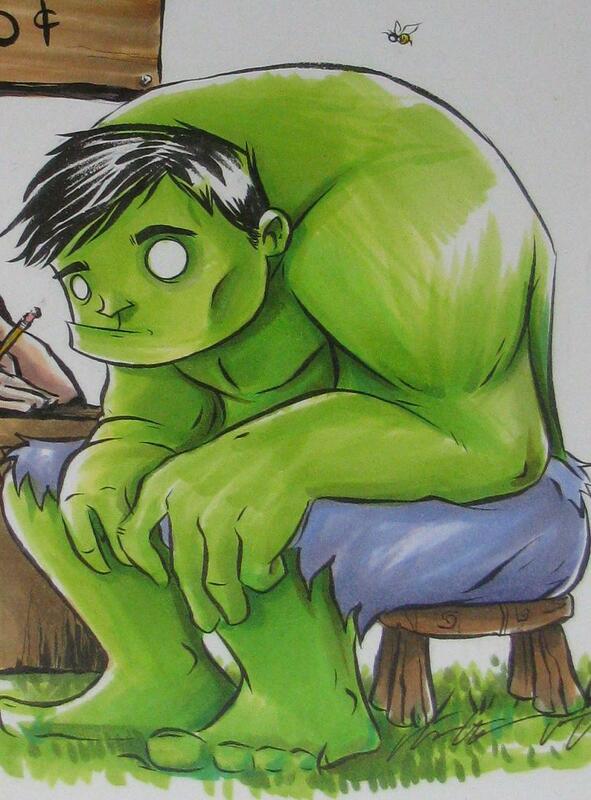 The opening sequence blew away anything that ever happened on Hulk and the Agents of SMASH. 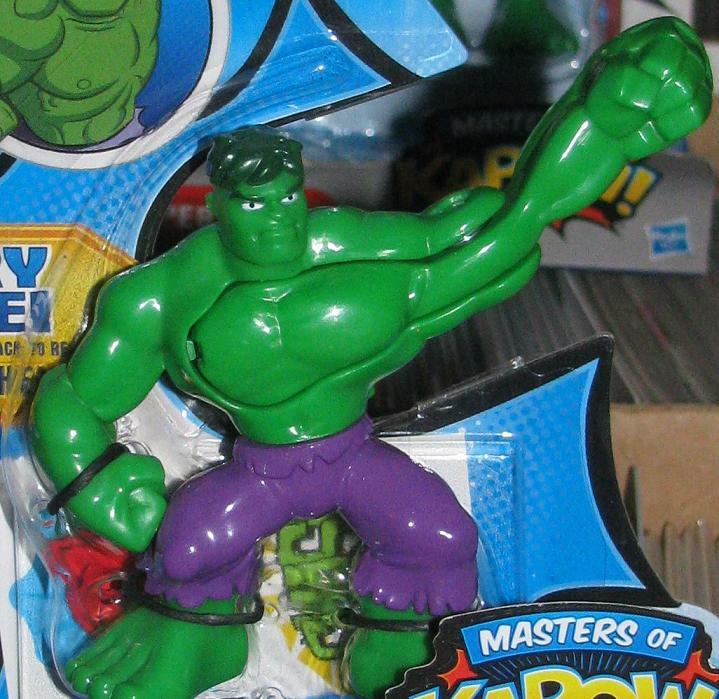 Now that the cartoon seems to be put into pasture the figure line is pretty much defunct – so now we are given more of the Superhero Adventure figures. 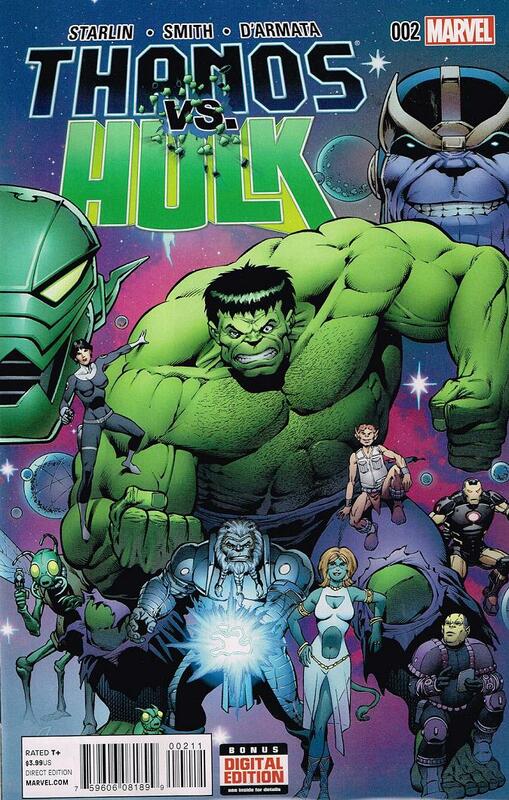 Earlier I showed off the Hulk/Abomination set that I gushed over the fact that they bothered putting Hulk’s best villain in anything. 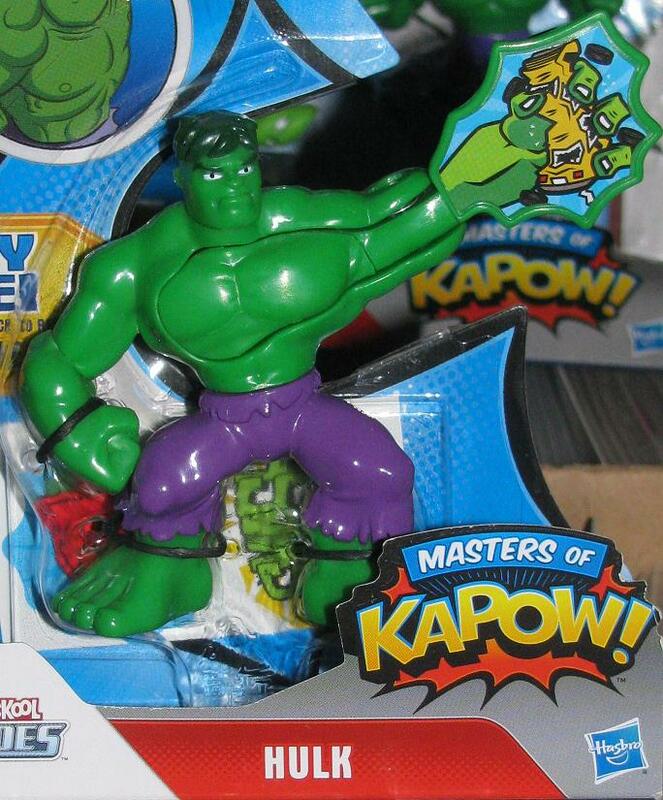 This little figure just has a switch-flipping hand that shows the Hulk’s fist – and then the Hulk crushing a car in his hand.